Jeff Halper: I’m a child of the sixties here in the (United) States. I was always political. You almost had to be political in the sixties. I was in the anti-Vietnam War movement. I was in the civil rights movement. I was in Mississippi. I was at Woodstock even. I was always very political. So when I went to Israel I didn’t stop being political. I was just going to another front of the revolution. It isn’t a story of a rosy-eyed Zionist who got to Israel and then got disappointed and became a leftist. The first thing I did was join the Israeli peace movement. From that point of view I knew where I was going, that there was an occupation, and I knew about Palestinians. Still, there was an attraction to Israel because I was alienated from the States. I really wanted to get out of the States. I had nowhere really to go. Israel I could go to because I’m Jewish. And I liked the idea of somehow developing a Hebrew society, the Hebrew language, things like that. So I was attracted to that. But again, I always knew there was an occupation, so I was always on the left. JEFF HALPER: Well, the Jews were disproportionately involved in both the civil rights movement and the anti-war movement. It’s the same thing today, maybe a little less. There was just an article written in the New York Review of Books (Peter Beinart, The Failure of the American Jewish Establishment) about the fact that Jews are liberal, and then (also that) young Jews have been taught to be Zionist or pro-Israel, go to Birthright, all that stuff. But there’s a conflict. And when there’s a conflict they go with their liberalism for the most part. So it was the same thing. I think there is a liberal element in Judaism, it just can’t be squelched completely. And that’s what led someone like me to go to Israel, even though I was critical. PNN: You talked in the beginning of your book about “The Box,” the framing of the issue as “The Box,” and trying to poke holes in it to affect change. At the General Assembly this week I saw a dead-ringer for what you talked about there. Could you speak to that a little bit? JEFF HALPER: Most people aren’t critical thinkers. You go to school, but school does not train you to be a critical thinker, it trains you to be a good citizen that doesn’t know anything. But you know what you need to know for the job market. They don’t want to train you to be an intellectual. And the political system, everything trains you to conform, basically. And that’s what people do. So they don’t ask questions. You saw that at this meeting. I don’t know how many commissioners there were in that Committee 14(the Presbyterian Church’s Middle East Study Committee at it’s 219th General Assembly). There were maybe forty. Maybe five of them talked. Most of them didn’t ask questions, all they did was raise their hands once and a while. And they raised their hands on completely diametrically opposed resolutions. So, that’s the way people are, they think in “The Box.” And “The Box” is all they need. It’s comfortable, you don’t have to go beyond it, you fit in, everybody likes you, you don’t have to think about things, and you have a good time. The pursuit of happiness is the American thing. So it’s very hard to get people out of the box. JEFF HALPER: To not be bothered, to ask questions, to be willing to be critical, to be criticized. In America to be popular is so important that people just resist getting out of “The Box.” And they don’t understand it and they don’t want to go there. That’s what makes it hard, because reality is not in “The Box.” Reality is much more complicated, it’s much more nuanced. All these slogans are just from ignorance. And you can’t do it in a sound byte. That’s the problem with the way the whole thing is structured in these conflicts, everybody gets a minute or two minutes to talk. You can’t get an idea across in a minute or two. It’s just a ping-pong of slogans back and forth. It doesn’t lead anywhere. PNN: Could you talk about the popular movement among the Palestinians? The protests in Bil’in, in Nil’in and other places, and how you are involved with that? JEFF HALPER: We’re partners with the Palestinians. We can’t fight their struggle. It’s true we initiate things in (regard to) house demolitions, rebuilding houses and resisting demolitions, but we do that always with Palestinians. We always work with them. We’re the junior partners. It’s their struggle. I go to Bil’in, I go to Sheikh Jarrah and Silwan and other things. I prefer, in a way to go to actions in the Occupied Territories initiated by Palestinians. That’s the solidarity. There are times in which we initiate things in the Occupied Territories. But like I said, it’s always in conjunction with Palestinians, in a partnership with Palestinians. So we see ourselves as partners. It’s a common struggle. Both peoples are going to continue to live in that country, so the vision is an inclusive vision. We both have a right and a duty to struggle together. I have, in a way, liberation. I’ve got Israel. The Palestinians don’t have a state, in whatever form it takes. So in a way there’s that asymmetrical element. It’s their struggle for liberation that remains to be won. For example, our organization does not advocate a particular solution, one state or two state or whatever, because we say that’s the Palestinians prerogative. And if in the end they decide two states, and I don’t like the idea, it’s not my call. If they decide one state, then I have to go with that. In other words their liberation is in a sense their liberation. Their self-determination is their self-determination. I can’t second-guess them on it, I can’t tell them what to do, and therefore I think that partnership idea is very important. PNN: And apartheid. Can you talk a little more about these issues? JEFF HALPER: In a way it’s phrased, this is an “American Church,” the Presbyterian Church USA. So it’s an American conversation. In some ways it’s important that they evaluate American policy. Well, Americans give economic, political and military support to Israel. It’s like an umbrella that insulates Israel from pressures. And that’s why Israel can be so aggressive. And people aren’t really aware of it. So they think the United States is helping Israel militarily because Israel needs that, and needs to be defended. But, in fact, Israel’s the fourth largest nuclear power in the world. It’s the third largest arms exporter. It can do very well without America. What it needs from the United States is access to military technology. It doesn’t really need the three billion dollars. The three billion dollars are very nice, but it doesn’t really need that. PNN: In Israel, isn’t a large component of the economy military technology? For example, Drones? JEFF HALPER: Yeah, military technology. The United States buys drones from Israel, not the other way around. And joint projects. The wall that the United States is building (on the border) with Mexico is being built by Boeing and Elbit Systems, which is an Israeli system of surveillance. So you know, Israel’s an equal partner, its not this little country that needs every bullet the United States sends. The United States also uses Israel to test its weaponry. For example, in Gaza. One of the reasons why Israel invaded Gaza, I think, was to field-test American weapons. The cluster bombs, the white phosphorus, what’s called DIME, Dense Inert Metal Explosives, based on Tungsten. Certain robotics, different kinds of crowd control gasses and sprays. There’s a lot of American weaponry that’s tested by Israel, it’s field tested in Gaza and in the West Bank as well. So there’s that whole part of it, and I don’t think Americans really understand the military part and how it has nothing to do with Israeli security, has nothing to do with really supporting Israel. It’s Israel being used by the United States for developing weaponry and for field testing, Israel using the United States to market military technologies and do joint projects. And all this is a military arrangement that on one hand contributes to the occupation, but it’s just a present to Israel. Its not that the United States is really defending Israel. Israel could have had peace twenty years ago, probably forty years ago if it had not occupied Palestinian land, if it had dealt with Palestinians and not tried to exclude them. So in a sense the American military, it’s bad on two counts. One is that it perpetuates the occupation, which isn’t good for Israel or for American interests in the Middle East, and on the other hand it contributes to American militarism. Those are both issues the churches’ should be concerned about. So what I was doing was trying to frame this issue in terms of American responsibility, American values, church values, rather than putting the emphasis on Israel itself. That was the thrust of what I was trying to say. PNN: It seemed in the committee there was a lot of concern about demonizing Israel. A lot of people may not be familiar with the Israeli press and the way that Israelis in many cases are condemning what their government is doing. That same voice is not heard, say, in the New York Times. JEFF HALPER: First of all there is a weird double standard. I mean, who ever talked about being afraid to demonize South Africa in the days of Apartheid? And who ever talked about balance? “We have to hear from the Afrikaner side. We can’t listen to the ANC (African National Congress) voice without listening to the white voice as well.” The whole dynamic here is completely different than anywhere else. You can criticize Iran, you can sanction Iran. You can do regime change in other countries. Not with Israel. There’s a very strange double standard there. And in addition to that, the point I try to make is that Israel’s a country. It’s not a religion, it’s not Jews, it’s not your next-door neighbor who’s Jewish, that you golf with. It’s a country! And it’s a country with a tremendous geopolitical importance whose policies tremendously impact the well-being of the United States. There’s no symmetry between Israel and the Palestinians. Palestinians don’t have an army. They don’t have a state. So first of all, why is criticizing a nuclear power, that’s an occupying power, why is that demonizing? And second of all, why is listening to the Palestinian voice by itself, with no Israeli additions, like we listen to Nelson Mandela’s voice, why is that forbidden? Why can’t you hear Palestinian voices, with the feeling that this is unbalanced and quick, quick, quick! We’ve got to get some Israeli voices! It’s very weird, that’s the only word you could use, a weird concept and dynamic of Israel that goes on. There’s different reasons why, but you can’t do that in the world, you can’t take a nuclear power and say it’s beyond criticism. That’s a really dangerous thing. But people just don’t think, they just don’t think. And that was my disappointment here with the Presbyterians. They didn’t think, they didn’t ask questions. I was a resource person. I was called for one minute over two days. And the discussion was superficial, I think it was trivialized. In the middle of all these discussions of life and death, whenever there was a break they talked about their most embarrassing moments. Or prayer, all this prayer stuff. Prayer is nice but if it’s hollow, if it’s not balanced by action, justice, everything else, that was missing. I guess you have to give the Presbyterians some credit. At least they were dealing with some of these issues. I don’t think the process and the discussion they had did justice. It didn’t serve either the interests of the church or the issues under discussion, so I’m very critical of that process. But at the same time, we made some progress. Caterpillar was denounced, divestment still possibly could take place, (and) the Palestinian voice did come through. We lost the Apartheid overture, but the word was used, political consciousness was raised, and it’s an advance over the last time. Last time we had to argue whether there was an occupation or not. And so it’s a process, it’s true. What’s missing for me is the urgency, because it’s an urgent problem, which I feel as an Israeli, and Palestinians feel, that isn’t felt here. Here, it’s an exercise, and they study it for the next couple of years, and that’s why it gets trivialized. But nevertheless, I have to give some credit to the Presbyterians, they did kind of bite the bullet. Not every decision was what I wanted but we did make progress. PNN: As an activist yourself, for a long time now, what is your advice to people who want to get involved? Maybe it’s the Israel/Palestine conflict, or maybe it’s something else. How do they help lift up the voices of the downtrodden? JEFF HALPER: That’s a big problem, because the discourse is still in the old colonial. White voices are still privileged over the voices of peoples of color. The rich are still privileged over the poor. The west is still privileged over everybody else in the world. The militarily strong countries are privileged over the weaker ones. It’s still like that. The world is still in a colonial space. And the discourse is very colonial. Even the fact that these delegates didn’t want to listen international law or human rights, or the U.N. It was all American, American, American. And by American they meant white. Just look at the Presbyterian Church, its ninety-some percent white. Middle class. It’s very much a colonial discourse, and that’s something that we have to fight. 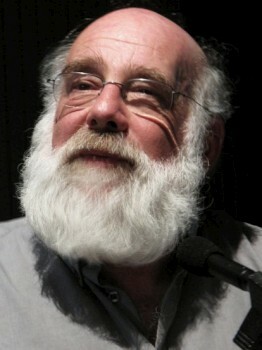 Jeff Halper is Co-Founder and Coordinator for the Israeli Committee Against House Demolitions (ICAHD). He was commissioned as a resource person for the Presbyterian Church’s Middle East Study Committee during its 219th General Assembly. We spoke at two different times over the course of the week on topics related to the conflict in Israel / Palestine. So there is no brake. The production of irresponsible laws, most of them racist and anti- democratic, is booming. The more the government itself is turning into an assembly of political hacks, the more the likelihood of its preventing such legislation is diminishing. The present government, the largest, basest and most despised in Israel’s history, is cooperating with the Knesset members who submit such bills, and even initiating them itself. The proud parents of these initiatives, which enjoy massive support from Likud, Kadima, Lieberman’s party and all the religious factions, do not hide their intention to expel all the Arabs from parliament and establish at long last a pure Jewish Knesset. The latest decisions of the Knesset are but parts of a prolonged campaign, which gives birth almost every week to new initiatives from publicity-hungry members, who know that the more racist and anti- democratic their bills are, the more popular they will be with their electorate.